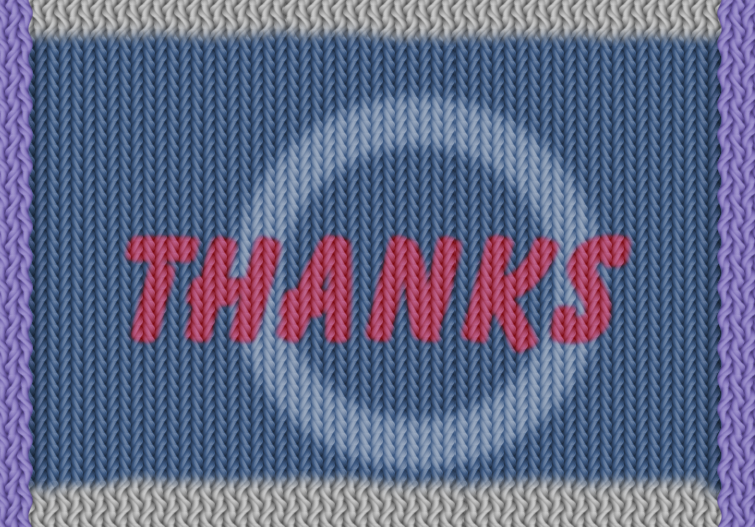 I came up with this technique to create a realistic knit texture. Level of difficulty - easy. Now your texture is made! Save this as a .png file. This will always be your 'base' file. PDN's Color plugins are the limit here. And that's not really true...you can use gradients. Now, you may be wondering why I had you do Steps #14 and #15.? It looked pretty good after Step #12. Because...now we've made it SEAMLESS! ? The possibilities and coloring are endless. Please have fun! Change the color of the 'squirkled' layer! This reminds me of thermal underwear cloth. I've included a few 'stitch' patterns to be applied with TR's Paste Frame; or you could apply them with Brush Factory . Color these as you wish. Make your own felt. I feel this belongs in this tutorial. It would go nicely with the knit. Step 1. Add Noise as per the image below. Step 2. Apply Fur Blur with the settings below. 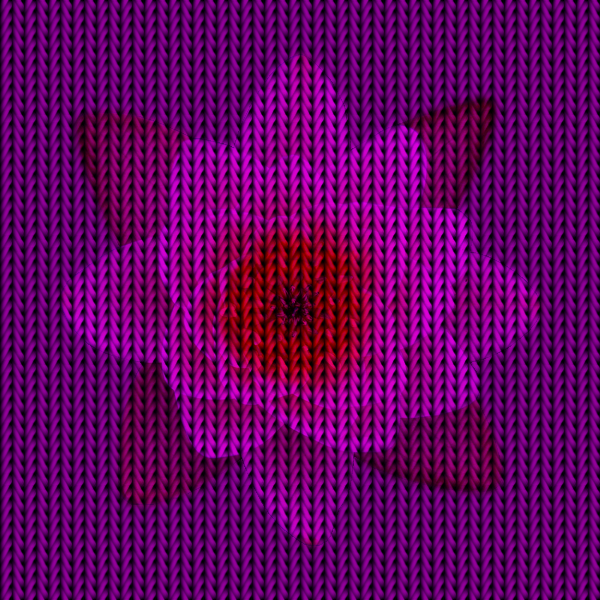 Please enjoy and do experiment with more of the 'Distort' plugins. The above are my top choices. ? The texture itself is easy to make, it's thinking of ways to use it! And I have hundreds of ideas already! Ohhhh....I totally agree! I really like that. I'm going to have to experiment further! Thanks for the tip! ? I just can't get over how realistic this looks...I'd swear you knitted it yourself, welshy! I'd swear you knitted it yourself, welshy! Those days are long gone. I think I remember how to cast on ... then knit one purl one etc ... drop a few ... swear ... knit one ... poke myself in the eye ? Don't knock yourself. I should have stated that this needs to be on a transparent background and I didn't...(my fault) ? I should edit the instructions. 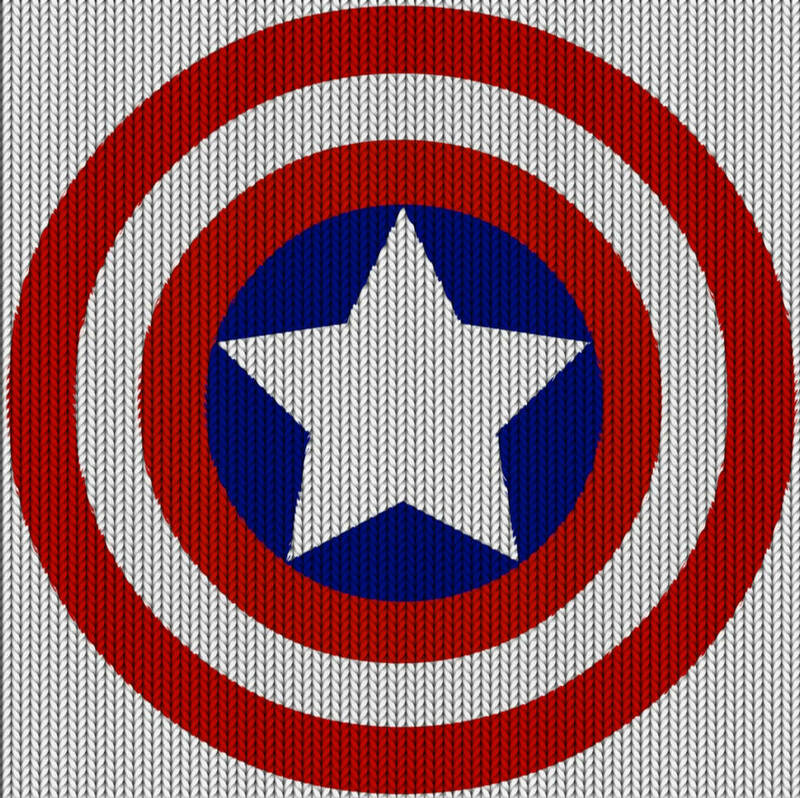 The inspiration for this came as I was perusing PS tutorials Friday night and came across psd-dude's knitting tuts. He was making something else, but he included a swatch of his knitting. I thought, "I can make that" and this tut was born. And your bunny looks soooo precious! Great job! I love the creamy color of your knit. Reps to you and welshy tomorrow...I'm out! Thank you @xod @doughty and @Maximilian for the reps! Let's see your knitting skills! ? Thank you @LionsDragon! Also, thank you to @Pixey @toe_head2001and @MJW! Thank you so much for your effort. Beautiful tut. 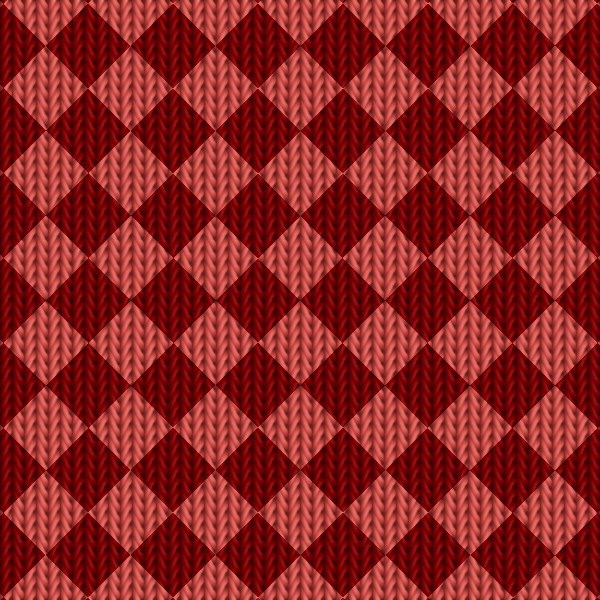 A plugin that could be used in conjunction with this method, to give different variations of the knit pattern, is Offset Alternating Stripes. 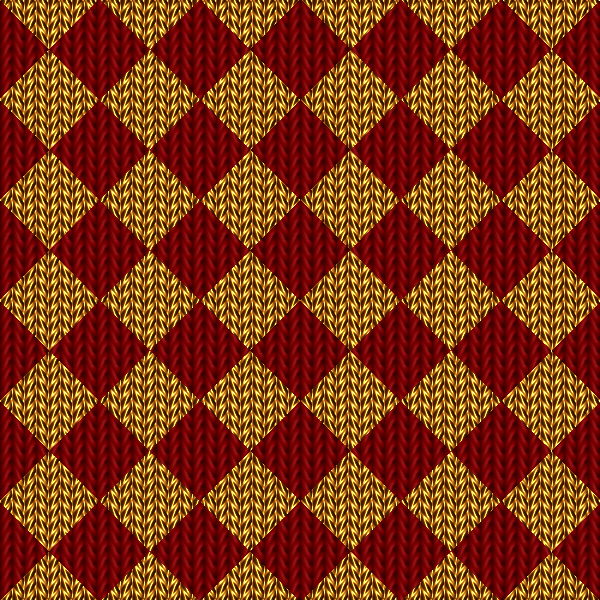 As promised, added 7 additional knit patterns! Hrrmmm...I am half-tempted to try some fisherman's sweater patterns with this. I had to Google that. The pattern looks very complicated to me! ? And thank you to @ReMake for the rep! Oh, thank you @Pixey!!! I've added the link. 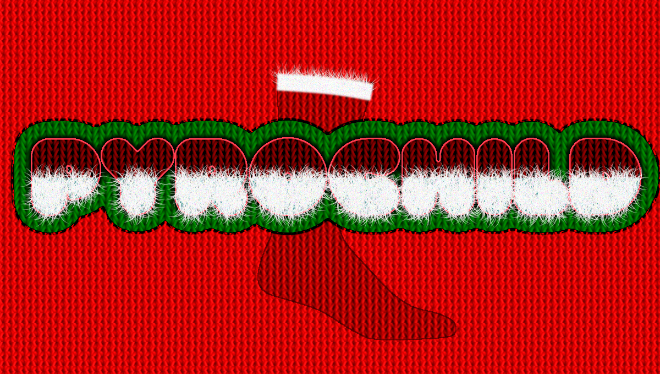 And, yes, I had something like that in mind for this year's Christmas wallpaper! ? The image is perfect!! ? Just added some stitches for you all to try and a quick 'felt' fabric tut. I'm done...now everyone can happily 'knit and stitch'! ? Very nice @dipstick ? I like the way you did your coloring. Dear @lynxster4! I used Red Ochre - Scintillate effect. Thank you so much for your effort. I did not even go into the 'Renders' menu. My main concern was ways to distort the knit fabric. I'll leave that up to you guys! ? Thank you so much dear @lynxster4! I have combined another version. Hopefully you'll find that nice too. The combination of: @TechnoRobbo Magnitude and @Red ochre Scintillate. 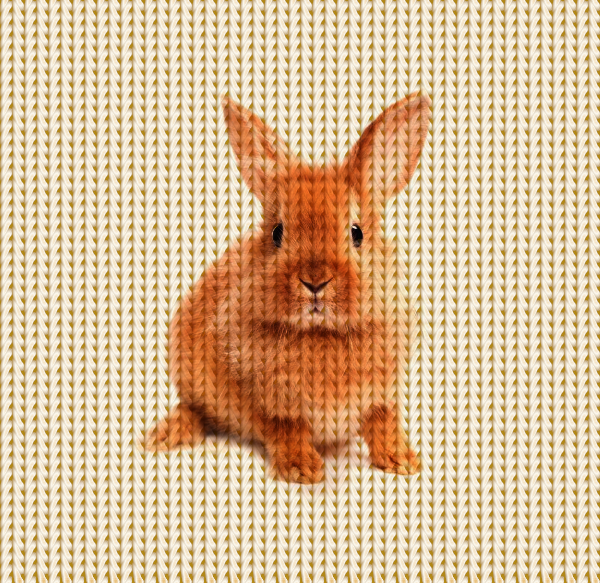 The golden colour looks like mottled wool. Dear @Pixey and Dear @dipstick! Your results are excellent. Thank you for sharing.